Welcome to the Farmingdale Parent Teacher Club website! 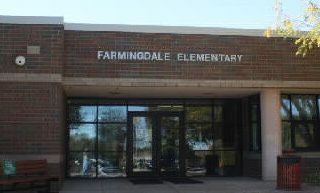 The Farmingdale Parent Teacher Club (PRC) is a group of parents and teachers working together to encourage cooperation and communication between home and school, and to promote the education and welfare of your children at Farmingdale Elementary School. Throughout the school year, we coordinate fundraisers to support educational programs and school initiatives. In addition, we host fabulous fun events! We would love to have you Get Involved with the PTC! We need help from all Farmingdale families to help make this a successful year. Please use the menu above to explore the site and discover the great projects and fun events the PTC makes possible!